and achieve mind and body wellbeing. your skin, your energy, and your positive thoughts. vegan, guilt free, eco-sustainable and secure. information of our vegan and natural products. in every product, based on a unified criteria of what is considered natural and what is not. 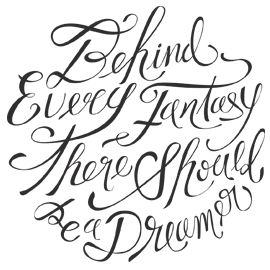 Daydreaming means using our imagination and positive memories. 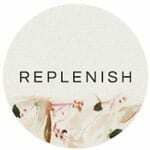 To reminisce and think positively activate the receptors which stimulate the brain areas associated with happiness. At APoEM our work is based on the powerful olfactory memory, so that you can reencounter your positive moments, transfer them to the present and magnify them. 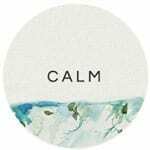 Aromatherapy has been scientifically linked to the production of endorphins, which are responsible for improving stress and depression, to equilibrate body and mind. 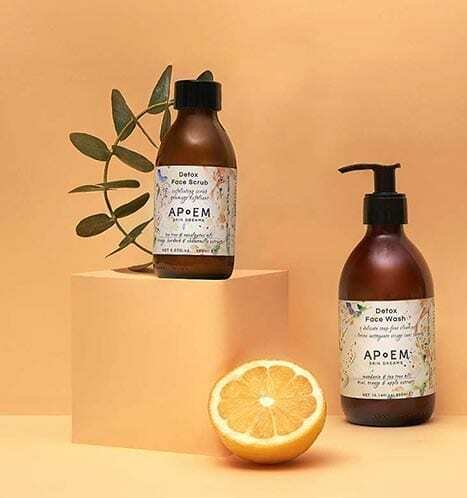 APoEM Phytotherapy rescues the ancient mediterranean herbs and botanical extracts linked to the essential oils with the only aim of improving the skin’s condition. 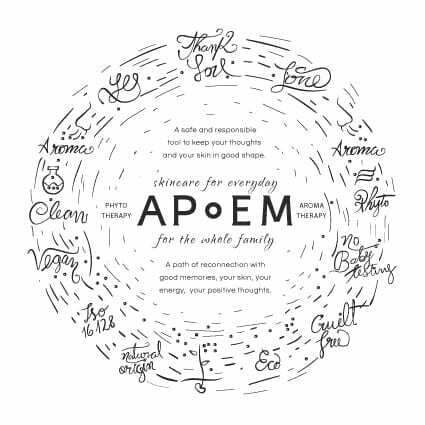 In APoEM we acknowledge the differences and very specific needs of each skin. 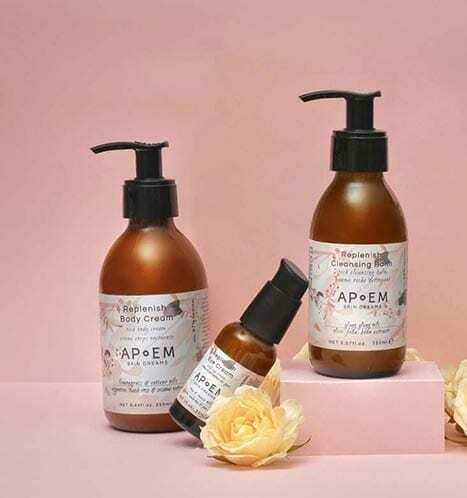 This is the reason why we have categorized our vegan and natural products by families, according to the different skin needs, thus making it easier to identify the most suitable one. In this way we ensure that all the sensorial and emotional benefits of APoEM’s Chemotyped Aromatherapy and Phytotherapy are good and specific for you. Product line based on plant extracts chosen to rebalance the auto-repair functions of the skin’s self-purifying abilities. 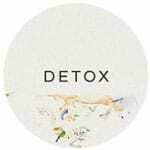 With chemotyped essential oils of known balancing and detoxifying power. Crafted with love for combination to oily skin types seeking for balance, detoxification, protection and refreshed a finishing. Also ideal for the skin regime of acne-prone skin and for teenagers. 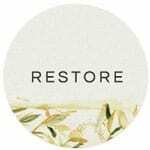 The Restore line, indicated for hydrating and moisturizing the skin, replacing the lost water and conferring it with everything it needs to be healthy and supple. Crafted with love for thirsty skin with a great need of moisture and seeking softness, smoothness and balance. 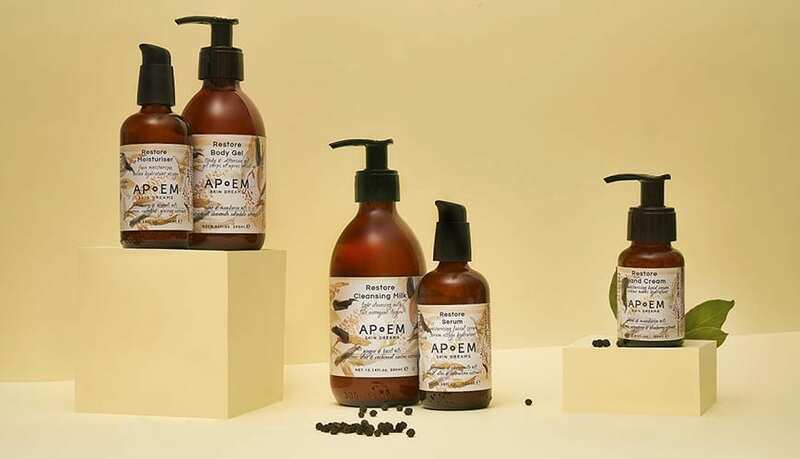 A special line for dry skin types, the REPLENISH products concentrate the regenerative power of first press plant oils, combining extracts and essences to give back vitality and energy to the skin. Crafted with love for skin types from normal to dry with extra need of nutrition, reinforcement of the hydro-lipid film, and the pursuit of skin glow. Reactive and hypersensitive skins require products which protect, sooth and improve their resilience. CALM line has been conceived especially for them. Crafted with love for sensitive, delicate skin types in the quest for balance, protection and placidity. Deciding which products to use on our kid’s skin is not an easy decision. In order to take the best choice, going natural is not enough; the safest products for kids should not contain hidden chemicals inside their fragrances, no allergens, and no unnecessary ingredients in the formulation. Crafted with love for the delicate skin of your little star. 1,2,3 I breathe, relax my shoulders, fill my chest with unique seconds that are only mine. My mind, my body, a magical act which harmonises, which cultivates my wellbeing. In APoEM, my space, my way out and my way in. I give myself to you, to your essence. I let your texture caress my body because my thoughts only find solace in you.